Launched for the first time in 2004, the Mercedes-Benz CLS-Class has been a top selling, midsize luxury coupe ever since. Mercedes-Benz had not had a executive coupe in its lineup since the E-Class was retired in 1995, so the introduction of the CLS-Class filled an important void that sat empty for almost ten years. The CLS-Class was relatively unchanged until 2011, when the four-door coupe was introduced as its second generation. Mercedes designed the CLS-Class in 2004 to deliver a combination of coupe charisma, and sedan practicality, and has been delivering on that purpose ever since. For the 2016 model year, the CLS-Class is available in three different model offerings - the CLS400, CLS550, and the CLS63 AMG. Each model comes with a different engine offering, and list of standard features. Drivers will appreciate the overall design of the CLS-Class, uniquely tailored to suit the needs of those who crave luxury, performance, and practicality. Mercedes-Benz set out to redefine the modern automotive design when it created the CLS-Class. The sporty coupe is as practical as any sedan on the market, and continues to make waves throughout the automotive world. The CLS-Class offers drivers even more options for 2016. With three main trim levels to choose from, each offering their own engine, price, and standard features, the 2016 CLS-Class is sure to fit your life perfectly. The CLS400 is the base model, and starts at $66,900. 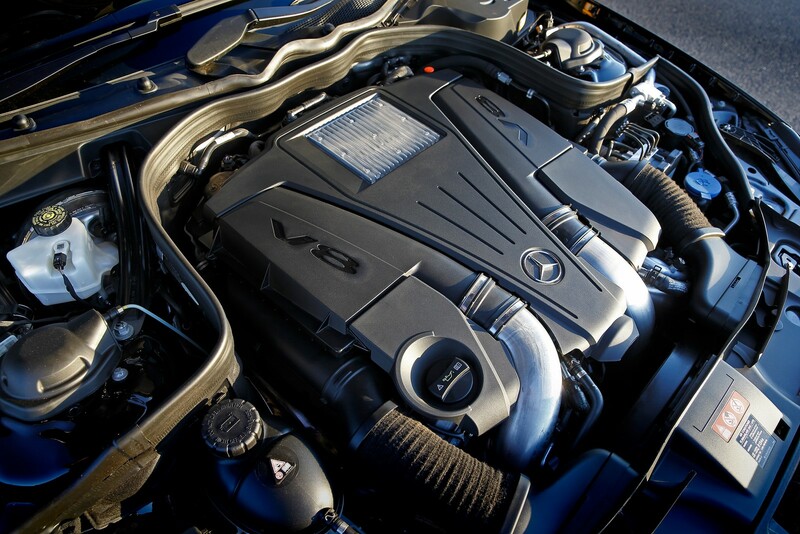 Equipped with a 3.0-liter biturbo V6 engine, this CLS model gets 329 horsepower, and 354 lb.-ft. of torque. Also available with Mercedes’ advanced 4MATIC all-wheel drive system, each CLS400 comes with a 7-speed automatic transmission with paddle shifters. Drivers can expect plenty of interior standard amenities, such as 14-way power front seats, leather upholstery, heated front seats, a dual-zone automatic climate control system, and an illuminated entry. An 8-inch freestanding full color display is the focal point of the luxurious cabin, and includes a navigational system, Bluetooth technology, and a USB audio port. The middle of the road CLS-Class model is the CLS550 Coupe, also offered as an option for the 4MATIC all-wheel drive system. Starting at $74,100, the CLS550 features a 4.7-liter biturbo V8 engine that makes 402 horsepower, and 443 lb.-ft. of torque. A harman/kardon Logic7 sound system with Dolby Digital 5.1 surround sound comes standard, as well as Mercedes’ Comand navigation system, TuneIn Radio, and an in-dash DVD player. Drivers get added convenience with the standard 5 years of Mercedes-Benz mbrace connect package, allowing for ultimate vehicle control. Multicolor ambient lighting is also standard, and illuminates the interior cabin with one of three different color profiles, for a peaceful driving experience. Drivers who are interested in pure power and performance, and desire the highest level of Mercedes-Benz luxury, can opt for the 2016 AMG CLS63 S 4Matic. This powerhouse of a coupe comes with a handcrafted 5.5-liter AMG biturbo V8 engine, boasting 577 horsepower and 590 lb.-ft. of torque. A seven-speed AMG Speedshift MCT transmission is paired with the powerful engine, along with AMG high-performance braking, aluminum shift paddles, electromechanical steering, and AMG limited-slip differential. 19-inch AMG 10-spoke alloy wheels, unique AMG body styling, Multibeam active full LED headlamps, and a performance-focused interior cabin design, are also included with this model. Every aspect of the AMG CLS63 Coupe was engineered for pure performance, luxury, and comfort. The AMG high-performance badging is present throughout the exterior and interior of this model, further differentiating itself from other CLS-Class models on the road. The CLS-Class redefined the coupe for the entire automotive community. Featuring four doors and a roomy cabin, the CLS-Class still manages to elicit a sporty driving experience that only a coupe can deliver. The unique diamond-block grille demands the attention of all other vehicles on the road, and the LED headlamps help the CLS driver stay focused on the road ahead. The four doors on the CLS-Class are frameless, helping bring together the sweeping profile of the coupe. The CLS-Class features an overall exterior design that mirrors constant movement, even when the car is not in motion. The interior cabin of the 2016 CLS-Class is as impressive as its exterior, but extends past aesthetics, appealing to all other senses as well. With four individual seats, and four doors, each passenger is able to climb in and out of the CLS-Class with ease. A full length console divides passengers, with convenient storage solutions for everything that is brought along for the ride. Leather upholstery comes standard on all models, and a handcrafted wood trim helps to finish off the polished look of the intuitive interior cabin. Drivers who wish to distinguish themselves even further, can opt for exclusive paintwork and upholstery available only on the 2016 CLS-Class. Exotic paint colors adorn the leather and cabin trim, in either a deep gloss, or modern matte finish. Drivers can choose from pre-configured packages, or individually choose their own for ultimate distinction. The 2016 CLS-Class further distinguishes itself by offering a long list of standard safety features, helping drivers and passengers stay safe both day and night. Mercedes’ Attention Assist technology can sense if a driver is drowsy, and send auditory warnings to alert them of their state. Other safety features such as Collision Prevention Assist, and Lane Keep, further ensure that drivers and passengers stay safe on the road. Rain-sensing windshield wipers come standard, and help drivers stay alert in adverse weather conditions, without taking their hands off the wheel, or their focus off the road. SmartKey gives drivers ultimate control of their vehicle in the palm of their hand, bringing convenience and technology together once again. The 2016 Mercedes-Benz CLS-Class not only redefined a segment, it became the leader in its segment. With more standard features and power than its competitors, the CLS-Class is the most intuitive luxury four-door coupe on the road today. No other coupe features the same amount of versatility, safety, power, and intuitive design, than the 2016 CLS-Class offers.